St. Clair Theatre Guild board member Robert “Bob” Swain died on Sunday, April 21 at the age of 90. Bob was a member of the Guild’s “Susquatch” vocal group and was a generous supporter of his adopted community, especially the arts. Bob was born in New Jersey but lived in several places around the U.S. as he pursued his career in the plastics industry. He was an innovator, manufacturer and leader in that industry, becoming an honorary member of the Plastics Pioneers Association and being elected to the Plastics Hall of Fame in 2009. He moved to Michigan in 2005 and quickly became involved in the St. Clair community. In addition to the Guild, Bob was also active with Kids In Distress Services (K.I.D.S.) and the Rotary Club. Bob’s obituary is available here. A remembrance gathering will be held at 11:00 a.m. on Saturday, May 25, 2019 in the Marysville Funeral Home, 1200 Michigan Avenue, Marysville, MI with a Memorial Service following at 12:00 p.m. A reception will immediately follow at the Voyageur Restaurant, 525 S. Riverside Ave. St. Clair MI until 4:00pm. Memorial contributions may be made to Blue Water Hospice. To send condolences, visit marysvillefuneralhome.com. We will miss Bob’s good humor and positive attitude, and our thoughts are with his family and friends in this time of loss. This entry was posted in News and tagged memorial on April 23, 2019 by Tom Kephart. Print out this flyer and bring it with you to the fundraising event! You’ll need to include it with your bill in order for the scholarship fund to receive the 20% donation from Murphy’s. Join us for dinner and watch the Tigers take on the Houston Astros on the many TV’s around the Murphy Inn. Present a copy of the event flyer (shown above) and the Murphy Inn will donate 20% of your entire bill to the Guild’s John and Avis Cobb Memorial Fine Arts Scholarship Fund. Again, be sure to print out the flyer and bring it with you to the fundraising event! You’ll need to include it with your bill in order for the scholarship fund to receive the 20% donation from Murphy’s. This entry was posted in News on April 12, 2019 by Tom Kephart. 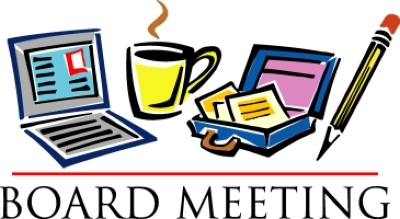 Due to the Cobb Scholarship fundraiser on our regular meeting night, the next meeting of the board of directors of the Guild will be Wednesday, May 15, starting at 5:30 p.m. at the Guild building. Meetings are open to all interested members of the Guild. Plans for our proposed 2019-20 productions will be presented and discussed at this meeting. This entry was posted in Events, News and tagged board meeting on April 12, 2019 by Tom Kephart. Applications for the 2019 John and Avis Cobb Memorial Fine Arts Scholarship are now being accepted. One or more scholarships are given each year to persons who will be pursuing arts-related education or training. To qualify, you must be a current student in the East China School District or at Cardinal Mooney Catholic High School, or be a home schooled student within the East China Schools boundaries. You may also be a graduate of Marine City, St. Clair, or Cardinal Mooney high schools, or an adult living in the school district. Alternatively, Guild members who are residents of other school districts in the area are also eligible. Applications are available on the Cobb Scholarships page. Deadline for applications is April 15, 2019. This entry was posted in News and tagged Fine Arts Scholarship, John & Avis Cobb, Memorial Scholarship on April 12, 2019 by Tom Kephart.